I’m very proud of my late Grandpa. His name was Joseph Edward Killingback and like millions of other boys, he headed off to fight for freedom and democracy in 1914. 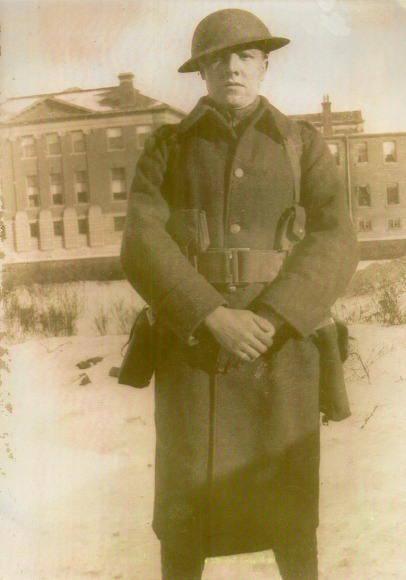 His attestation papers say he was 16, but so eager was Grandpa to fight for his country that he lied. He was actually only just 15. I remember Grandpa telling me about the First World War – leaving out the worst bits but still conveying a sense of just how terrible it was. He talked about rats, the dreaded trench foot, canned bully beef and how “sometimes the food wagons didn’t get through”. He never talked about losing friends. I asked him about it once when I was very young and he simply answered “Yes I did.” I never asked again. Grandpa was wounded near Amiens in France just before the end of the war. He lay in the mud of no man’s land for hours, not daring to move for fear of being shot by snipers. When the medics found him after the battle had moved on he was in pretty rough shape. Once he was stablilized in the field, Grandpa was sent to a hospital in Bristol and later to the Canadian Convalescent Hospital at Bear Wood in Berkshire, England for treatment. Bear Wood was one of the many British country mansions turned into hospitals during the First World War. Today it’s a school, just a few miles up the road from where I live in Berkshire, England. My Grandpa was sent back to Canada as the war ended and reported to the London, Ontario Armouries where he had trained to be discharged. 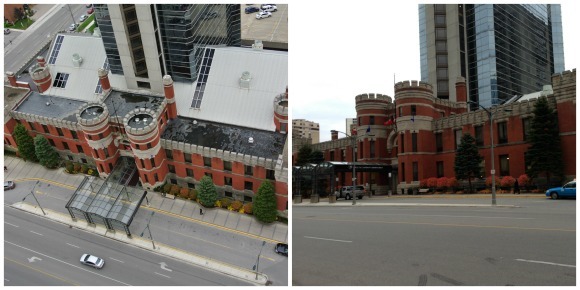 In yet another example of things coming full circle, I can see the Armouries (now a luxury hotel) below me as I stand on the balcony of our apartment in Canada. I wonder what my grandfather, barely 18, a survivor of four years at the front, was thinking as walked out these doors on the day he was discharged so long ago. I know Grandpa felt lucky that day. After all, he survived. Millions – including his own stepfather – did not. And still today many service-people lose their lives fighting for our freedom and keeping the peace. 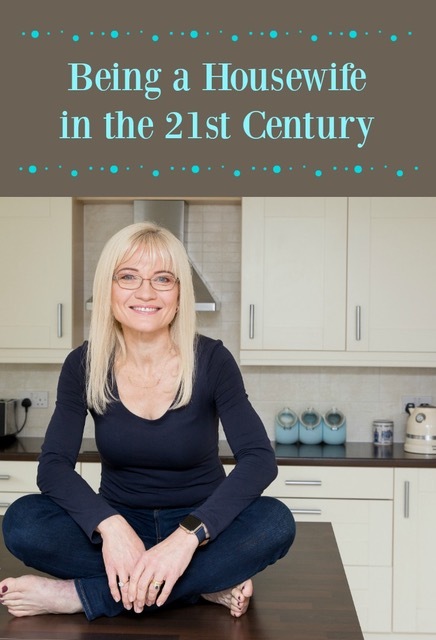 Then there are also those who do come home alive, but for whom everything is forever changed – the wounded, permanently disabled, and those with mental scars that may never heal. And of course there are the military families, so many of whom have lost loved ones and so many who wait at home and pray. There are millions of these wonderful souls all over the world doing something amazing for us every day by “keeping the home fires burning”. They are braver than I can ever imagine having to be. My days can be pretty busy but I know what I will be doing at 11am on the Eleventh of November. I will stop in silence and remember the millions of people who fought and are fighting for my freedom. I will remember those who died, those who live – and their families – and I will say a silent thank you. Because of them we enjoy the kind of freedom many in the world only dream about. I owe them a far greater debt than I can ever repay. The least I can do is spend two minutes silently paying tribute to them. I hope that wherever you might be at 11am your time on November 11 that you will join me. What a lovely tribute to your grandfather, April. And a wonderful reminder to us all of the price of freedom! My own youngest son is now just 15 years of age, and I simply cannot imagine him off to war. What a brave man, that grandfather of yours! 15… that really is incredible. I read with bated breath to learn what happened to your grandfather. Thank you for the poignant and personal reminder. Wow, what an amazing story! I can’t believe he went to fight at 15. My great-uncle fought in World War 2 but I think he was older. We only asked him about it once, when my brother was doing a paper for school, and he gave us quite the story. I never heard him talk about it otherwise, and we never asked again. He passed away a couple summers ago, just a few months short of his 100th birthday. So I guess I’ll never hear all the stories now. I’m really lucky my Grandpa shared so much with me. A lot of veterans don’t want to talk about their experiences. He was too old to fight in WW2 but he enlisted in the home guard and served in London, Ontario for most of the war. It’s wonderful your great uncle lived such a lovely long life! My kids and I talked about Veteran’s Day in the car today. My grandfather served in the British Army in WWII fighting in North Africa and France. His father before him served during WWI and was gassed. I think he died shortly after he came home. We didn’t talk much about my grandfather’s experiences in the war. He started writing his memoirs shortly before he died. I know he was part of a court martial and was unhappy with what happened. I think it is really great that you are sharing your memories of these wonderful family members with your kids! 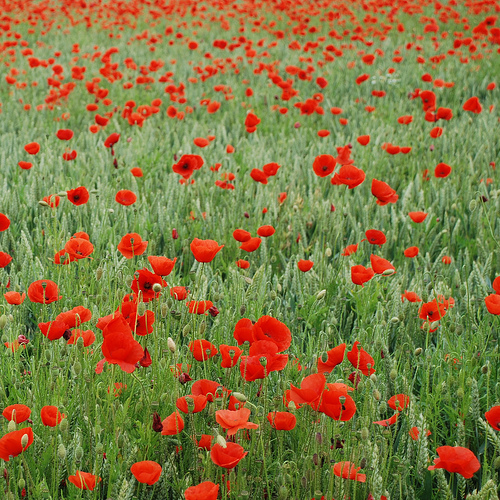 It’s so important that we remember. That is very sad about your great grandfather. It’s nice to hear that your grandfather lived a longer life after the war!